The quietly implemented Wattpad Next beta is limited to four markets and uses a select group of writers. And the program could mean a lasting change for writers and readers who want to reward them. Wattpad officials in Toronto are confirming to Publishing Perspectives on Tuesday (October 2) that the platform is preparing to run a beta payment program in select regions to test how writers can make money on Wattpad through a reader-payment system. The experimental program—which our contacts stress is short-term—is up in four markets: the company’s home base Canada, as well as the UK, the Philippines, and Mexico. The launch date for the beta project is a week away, October 9. The Philippines is one of Wattpad’s most successful markets, a country in which the Wattpad Presents television program produced with Manila TV5 was something of a precursor to the rapidly accelerating success that the Wattpad Studios division is having in platform-to-screen development. The upcoming invitation-only beta is limited at present to some 50 current Wattpad writers, who were selected for the test to contribute to the program. The stories these writers produce for the beta will be available only in the four participating regions and only for purchase. There will be no effects on normal Wattpad operations otherwise. Free stories on the site will require no payment, as usual. 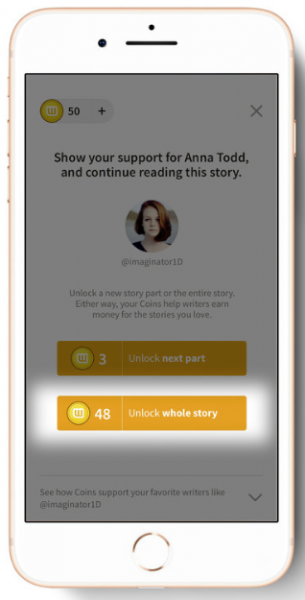 Stories marked “Supported Story” will be Wattpad Next stories that require payment using the coins. 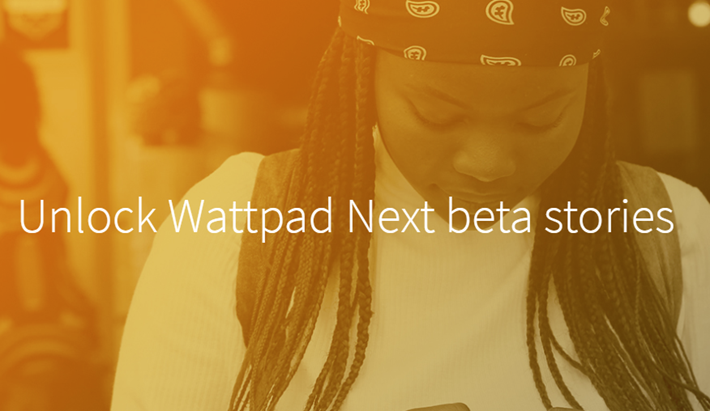 Instructions on how to access Wattpad Next beta stories are here. They offer “each juicy part chapter-by-chapter” or a “purchase an entire story” option for bingers. 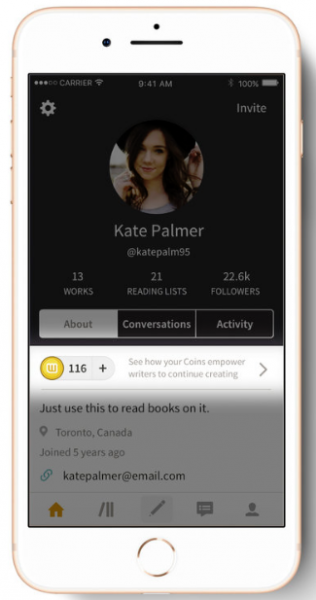 Once the beta has launched next week, users can use the Wattpad app to purchase their coins in various sized batches. 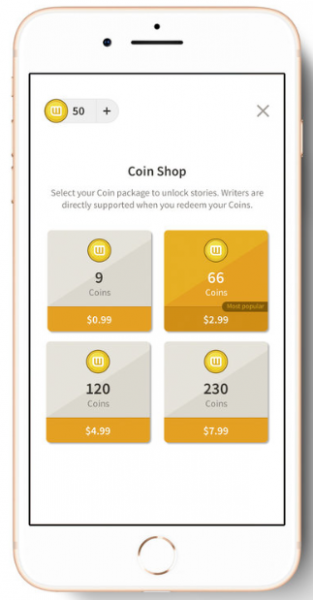 Based on the graphics on the explanatory page about buying coins for the Wattpad Next program, coins may come in batches of nine for $0.99, batches of 66 for $2.99, batches of 120 for $4.99, and batches of 230 for $7.99. It’s likely these prices are in Canadian dollars, since the beta will not be available in the States, and these price may be higher or lower than the actual cost structure once the beta program is activated next week. Not surprisingly, the word is spreading quickly about the new program, sparking interest among writers. In the coming days we’re going to announce a new experimental program to support writers. We can’t reveal more yet, but this will be a limited beta program running in select markets. Stay tuned for more. Many writers who have looked at Wattpad—particularly authors who have some career traction—may find it good news that the company is exploring, even on a limited trial basis, a way that readers might be able to pay their favorite writers. Long recognized as a fine incubator for young talent, the platform, with its highly attractive 65 million active users monthly, has seemed a leap for those who need to make money from their writing. The company is explaining the new, limited-time beta is to say that readers have been asking for ways to compensate their favorite writers. More interesting information in the FAQ indicates that the pieces selected for the closed, short-term beta program “were selected to reflect the diverse genres and interests of our community. We’re working with a dedicated group of writers, who are committed to their craft and readers. More from Publishing Perspectives about Wattpad is here. This year’s The Markets conference at the Frankfurter Buchmesse is on revenue models, not unlike the coins-for-author-payment beta test that Wattpad is doing. Publishing Perspectives readers get a 30-percent discount for The Markets and Business Club access: use code 2018BC1day_PP for the one-day Business Club ticket and code 2018BC6day_PP for the six-day ticket. And our Summer Magazine is ready for your free download. 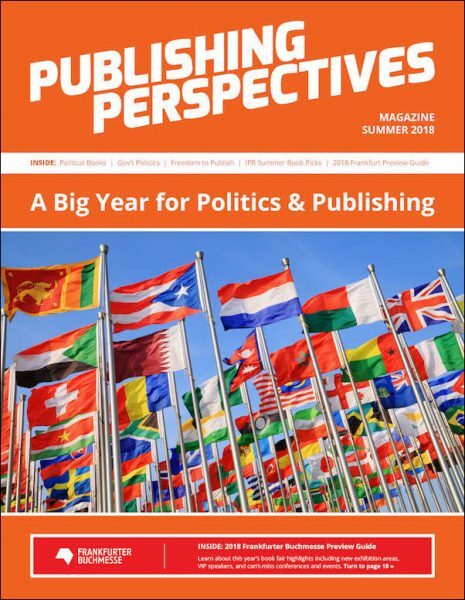 It’s themed on politics and publishing and includes our extensive preview of the Frankfurter Buchmesse. Download the PDF here.